Fancy seeing another side to South Africa’s culture? A street art tour could be just what you are looking for. 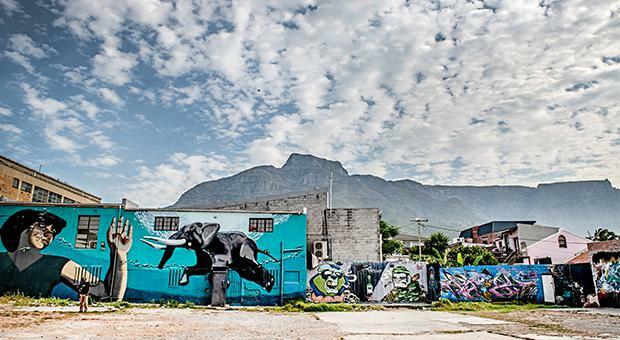 The Oxford Dictionary defines street art as ‘Artwork that is created in a public space, typically without official permission’, however this is far from the case in South Africa’s capital. In Cape Town, locals are offering up the outside of their homes as canvases to artists from all over the world and the results are simply stunning. Giant murals are popping up all over the city and streets are busting with colour. 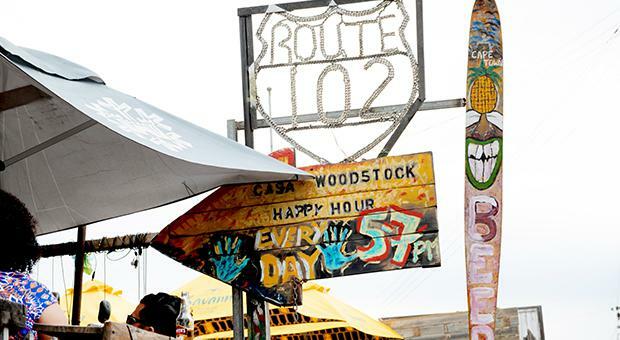 Nowhere has been painted, stencilled or sprayed more than the artistic hub that is known as Woodstock. 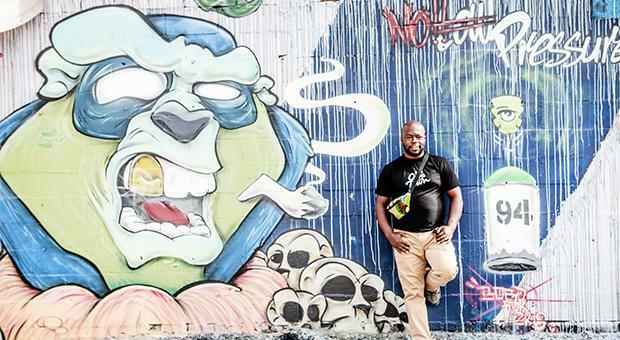 A movement that started here with a small group of artists, who wanted to inspire and educate others, has now made Woodstock a popular destination for art lovers and those interested in counter culturalism. 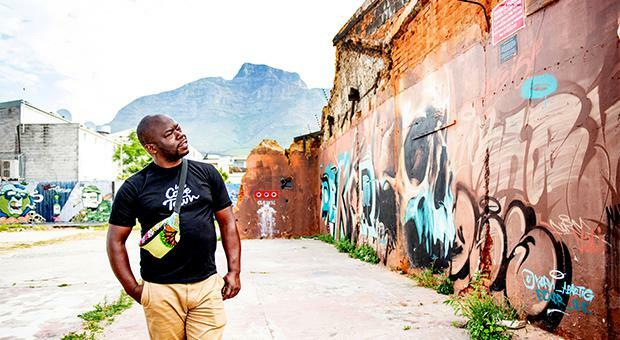 Local tour guide, Juma Mkwela, spends his days taking guest through the area telling the story of local life and culture using the work of the surrounding artist as his visual aid and inspiration. A task that started out as a pastime for Juma, quickly turned into a passionate business venture that has blossomed over the years. From those who want a simple overview of the area and need just enough time to take those Instagram photos, Juma offers bitesize experiences. He also caters for people who really want to delve into this world of culture and artistic liberation. Juma explains that Woodstock wasn’t always the bustling artistic centre that it is today. He has seen a lot of change throughout his years as a tour guide in the area. Visitors can feast their eyes on the works of both local and international artists when they visit Woodstock. Some of the artists have used their talents and platform to bring some of Africa’s wildlife to the city and offer a unique way for locals to enjoy their native creatures. Juma explains that by taking a street art tour, visitors get a unique opportunity to learn about the province they are in. He explains that as well as interacting with guests of the area, the local people play a key and special role in the street art scene in Cape Town. As well as arranging for visitors to try some local dishes, Juma can also point them in the direction of some wonderful places to relax after their walking tour. Woodstock is quickly becoming a bohemian foodie destination, with lots of modern and vibrant businesses opening their doors in recent years. Juma says that as part of the street art project, they endeavour to support as many of these local businesses as possible. Juma says that every day as a tour guide is different because of the people. He tries to encourage visitors to really live in the moment while they are there and take in everything around them. “My favourite part of my job is to share stories and experiences. I enjoy when the guests get to interact with the locals. We might go to the same area, but we meet a different family and that makes each tour different.